If you have qualified to race in this September’s Gran Fondo World Series Final…then you’ll want to race in the official SPR National Kit. Of course, just like with the regular SPR kit, you must be a current member to purchase. This will be a limited run, and orders will close in the first week of July to ensure that we have plenty of time to get it manufactured prior to the final. Jerseys in all cuts, bib-knicks, shorts, and long sleeve skin suits will be available. The National kit cannot be ordered through the Cannibal order portal. You need to get across to the SPR shop. 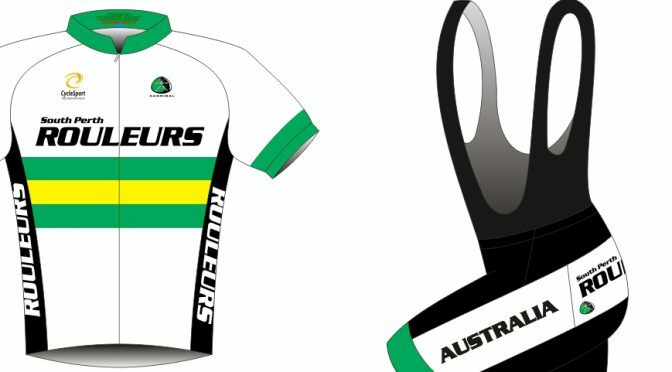 If you have any questions send us an email to kit@southperthrouleurs.com.au. Looks awesome. Thanks for organising. I’ve bought my skinny. Lets hope I do well enough to put it on the wall after it’s one use.